A couple of weeks ago, the world watched horrified as a United Airlines passenger, battered and bloodied, was dragged off an aircraft in Chicago earlier this month. The resulting backlash put airlines’ longstanding policy of putting profit over the occasional ticket-holder under fire. Now, airlines are modifying their overbooking policies. Overbooking has become a fundamental component of how carriers manage revenue. It is inevitable that some passengers will miss or skip their flights and airlines don’t want to miss out on the revenue. Historically, volunteers to give up their seats are sought with the promise of a free hotel stay and travel vouchers. If not enough people volunteer, unlucky passengers, typically from coach class, are selected to be bumped and given the same concessions. The victimized passenger, Dr. David Dao, was forcibly removed after refusing to deplane to make room for crew members needed in Louisville. He subsequently threatened legal action over the incident. 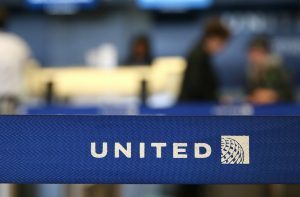 United and Dao announced on Thursday that they had settled their dispute out of court. Both United and Delta have announced that they are willing to pay up to $10,000 to bump a passenger from an oversold flight. American Airlines doesn’t disclose a maximum compensation amount but says it sets the amount “properly in order to obtain the correct number of volunteers.” It is unlikely that Delta or United will ever dole out $10,000 to solve an oversold flight. Two people on the flight where Dao received his injuries got less than $1,000 in travel vouchers for giving up their seats. A third also offered to do so for $1,000. United also announced that it would develop an automated system to gauge customers’ interest in voluntary, compensated bumping at check-in. Some carriers have eliminated the practice of overbooking altogether. Southwest Airlines has announced it would stop overselling as part of its transition to a new reservation system. No company wants to face the type of public chastising that United received after the incident. According to government data, roughly 475,000 passengers were bumped from their flights last year. Out of that number, 434,400 were volunteers and 40,600 were involuntarily bumped. United says that only 4 percent of its flights have more ticketed customers ready to board than available seats.